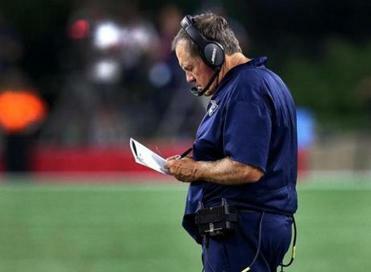 Bill Belichick on the sideline during the Patriots’ Sept. 9 game against the Texans. It should come as no surprise that the Harvard Business School has taken more than a casual interest in the New England Patriots. Team owner Robert Kraft graduated from HBS in 1965. His son Jonathan, president of the Kraft Group, got his HBS degree in 1990. Even the Pats’ Grand Inquisitor, lawyer Ted Wells, author of the notorious post-Deflategate Wells Report, has an HBS degree. I didn’t know before reading Professor John Wells’s (no relation to Ted) two HBS case studies on Bill Belichick that the coach himself intended to pursue an MBA before he went to work as a junior assistant for the Baltimore Colts. The two Belichick cases are used in a second-year course called Strategic IQ, “organized around pairs of companies in similar industries where both are doing well, then one suddenly fails while the other maintains its success.” Belichick’s career fits the template, because he failed as head coach of the Cleveland Browns from 1991 to 1995, and has demonstrably succeeded as Patriots head coach during the past 18 years. Why was Belichick so ineffectual with the Browns, where he lost more games than he won, and so great with the Pats? Professor Wells advances several reasons. First, Robert Kraft proved to be a much more football-savvy team owner than the Browns’ Art Modell, “who had no idea why things might be happening,” according to Belichick. Second, Wells argues that Belichick, a college economics major, figured out how to exploit the NFL’s salary cap, introduced in 1993, better than almost anyone. 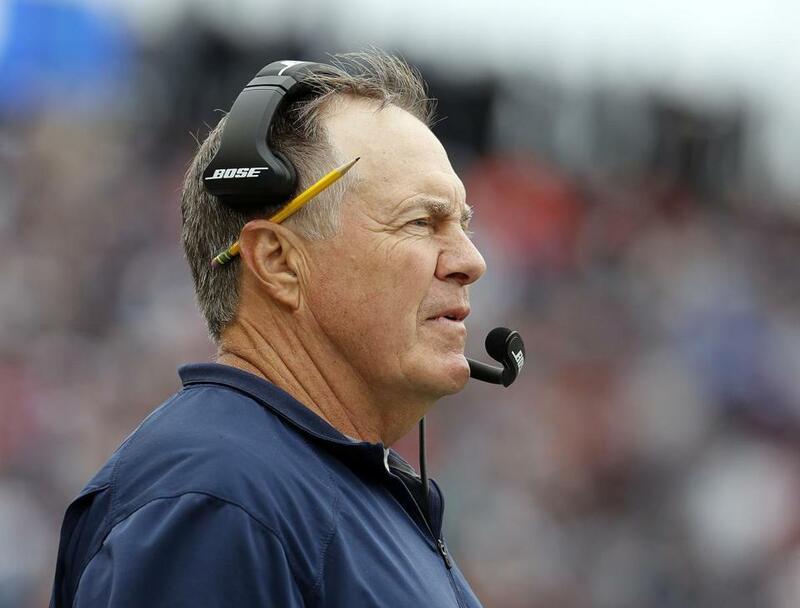 “Belichick managed the salary cap in part by means of incremental analysis, sending a thank you note to one of his economics professors at Wesleyan University for teaching him the concept,” Wells writes. One by-product of incremental analysis is not falling in love with sunk costs, i.e., retaining highly paid players for whom one can find substitutes at a more reasonable price. While coaching the Browns, Belichick dumped popular (and well-paid) quarterback Bernie Kosar in a move now familiar to Patriot fans. Belicihick is, shall we say, remarkably unsentimental when it comes to personnel, as stars such as Richard Seymour, Willie McGinest, Mike Vrabel, and many others can attest. The HBS case predictably valorizes Troy Brown, the helmeted Swiss Army Knife who was one of Belichick’s all-time favorite players because he played well on offense, defense, and special teams. One name that doesn’t appear in Wells’s 22-page long case study of the Patriots: Tom Brady. Of course we care about only one thing: Can the business known as the New England Patriots survive the departure of TB-12, when he loses the battle that he has chosen to call “Tom vs. Time”? According to the Harvard Business School: Signs Point to Yes. If you had any doubt that Kraft, Belichick & Co. could continue to succeed with what former Dallas Cowboys head coach Jimmy Johnson calls “new players every year” (remember the amazing cornerback duo of Darrelle Revis and Brandon Browner? ), these analyses will assuage your doubts. The end of the Brady Era will be a cataclysmic nonevent. So expect a new Patriots model perhaps as soon as next year, and expect it to drive right into the playoffs, as it has so many times before. Correction: A previous version of this column gave the incorrect first name of Bernie Kosar.